COAFP hosted attendees for an informative lunch at the Worthington Hills Country Club hosted by Dr. Joel Elvery, Policy Economist of The Federal Reserve Bank of Cleveland. Dr. Elvery holds a BA in Economics from the University of Illinois at Chicago and a PhD in Economics from the University of Maryland. In particular, he studies the regional economy of the Fourth Federal Reserve District, which includes Ohio, Western Pennsylvania, Eastern Kentucky, and the northern panhandle of West Virginia. Dr. Elvery compared the economics of Central Ohio and the State of Ohio against the national averages to highlight Columbus Metro Area’s fiscal strengths and economic points of slowdown. Financial and professional services led the 2018 economic charge with logistics and transportation industries not too far behind. (These super sector categories are derived from the Bureau of Labor Statistics). Much to our surprise, Columbus Metro Area’s housing costs are lower than the national average. The Columbus Metro Area apartment rental rates average $1 per sq. foot while the national average is $1.50 per sq. foot. It was also interesting to note that the Columbus Metro Area is more productive than the State of Ohio and the Nation as a whole and the employment growth outpaced the nation. The population of the area grew at a rate of 1.6% in 2018 over the previous year. This is double the growth rate of the nation at 0.7% and of Ohio at 0.3%. The latter part of the presentation focused on technological change and what that means for productivity and wages. Dr. Elvery concluded the 2019 economic outlook with comments regarding an expected softening of GDP growth of 2.5% and expected inflation within the FOMC’s target range of 2%. COAFP Awarded for 11th Year Running! Cindy Clark and Jenny Morrison represented COAFP at the national Association for Financial Professionals (AFP) 2018 Regional Officer’s Meeting (ROM) in Washington D.C. It is a meeting where AFP Regional Associations gather, share ideas, discuss strategy and network, all with the goal of creating better regional associations for their Members. For the 11th consecutive year, COAFP won an award at the annual ROM Idea Fair. This year, COAFP won in the “Best Marketing Idea” category. Under the leadership of President Linda Opundo and Buckeye Financial Forum Co-Chairs Cindy Clark and Clay Lanctot, COAFP asked Buckeye Financial Forum speakers to advertise COAFP on both their websites and social media feeds before and after the Buckeye Financial Forum, for an agreed upon time period. Benefits included exposure to a different audience driving new visitor traffic to our website, building enthusiasm for the event with existing members, and different feeds mentioning COAFP move the organization up in search engine rankings. The result: Our 2018 Buckeye Financial Forum had its highest-ever attendance! Join your fellow COAFP Members to continue the work that is done on YOUR behalf and be proud that COAFP has the designation of “an AWARDS winning Association.” Join us today! Already a Member? Then Click Here to Volunteer! See a different side of COAFP - Volunteer Today! 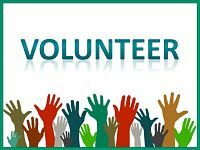 COAFP is always looking for volunteers and board members to help grow the association and participate in event planning and execution. As a COAFP volunteer you will get to see behind the scenes of what makes COAFP so successful. If you are interested in volunteering or would like more information, Click Here. Get the training you need to become a Certified Treasury Professional® (CTP) with our offered CTP Course! Our next CTP Course will be held in the Fall of 2019. Students can purchase the course alone or the course plus materials. Students can also purchase materials only from COAFP (self-study) at COAFP cost. COAFP MEMBERS... Take advantage of your member discount and order your CTP exam-prep materials now! Click Here to purchase Course Materials. Contact the Education Chair today for questions about purchasing.